Johnny Depp is unlike any other actor in the business. Instead of cashing in on his good looks, he's worn a bald wig, put gold caps on his teeth and even had giant scissors attached to his arms to play characters far outside the cultural mainstream. Born June 9, 1963, Johnny Depp is the quirkiest leading man of his time. In the history of Hollywood, there have been few stars as unconventional in their approach to the business and the roles they choose to play. It should come as no surprise, then, that Johnny is a versatile Gemini. This chameleon-like actor immerses himself totally in each role, seeking a unique voice and attitude for every part he plays. Johnny's need to communicate is essential to this sign. His greatest gift as an actor is his willingness to leave his star behind and let each unique character shine through. Johnny Depp is a rebel who lives by his own rules. He dropped out of school at the age of 15 and played in rock bands before landing a part in the eighties television show 21 Jump Street. The role of teen idol wasn't for him, though, and he moved on to play the ultimate outcast in Tim Burton's brilliant film Edward Scissorhands. 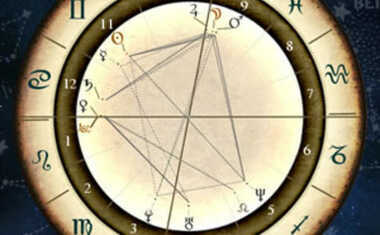 Uranus -- the planet of outsiders, freaks and crazies -- is a powerful player in Johnny Depp's chart. It's closely conjunct independent Mars, making him a total original who does things his own way no matter what the cost. Individuals with this dynamic combination won't play anyone else's game, but can be incredibly inventive at making up their own. Depp's Gemini Sun definitely explains his eclectic film choices! 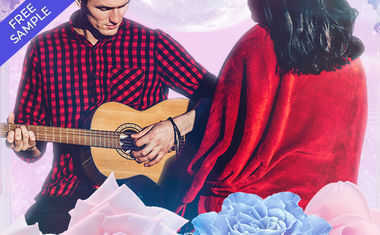 The sign of the Twins may get a bad rap for supposedly having a split personality, but actually this mentally-active sign is interested in gathering as much information as possible on a given topic, giving Gemini the unique ability to see an issue from several different sides at once. Depp's zodiac sign enables him to see the good, bad and misunderstood in his characters -- and to bring all those sides to light. On the other side of Mars sits Pluto, dark ruler of the underworld. Johnny Depp's most famous meeting with Pluto occurred outside his Los Angeles club The Viper Room, with River Phoenix’s fatal overdose in 1993. He also had brushes with Pluto in 1995, when he was arrested for destroying his hotel room, and again in 1999, when a fight with paparazzi in London led to another arrest. Age and family appear to have mellowed the hot-tempered actor. He did split from his long-time companion, French pop singer Vanessa Paradis, with whom he has two children, but he has a long history of serious commitments to women (even if the don't work out in the long run). Johnny was previously engaged to Winona Ryder and had a long-term relationship with Kate Moss, and this desire for a lasting love is indicative of his Venus in Taurus. 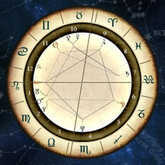 The planet of love in this earth sign can be lusty, but is happiest in a stable relationship. Johnny's Moon -- symbol of emotional needs -- is in Capricorn, another earth sign that values security. With the huge box office success of Pirates of the Caribbean, Johnny has become a darling of the industry. This Oscar-nominated actor is unlikely to just pick up his paycheck and play it safe, though. Expansive Jupiter in fiery Aries challenges his Capricorn Moon, so even with family, fortune and fame, we can expect Johnny to keep surprising us with cinematic leaps few other stars would dare to take.